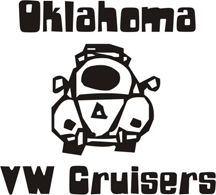 Oklahoma Vw Cruisers • HELP!!! FIRE!!! hey my 72 super is acting really weird. 1st gear takes for ever to get up to 20mph, it doesn't idle at lights anymore, it pops and shoots fire out of the exhaust when ever i'm driving and take my foot off the gas. any ideas of whats going on???? What about those exhaust ports we did not bolt all the way? would it be safe to drive one more day as is? and anyone know a good tutorial for how to handle a tuning problem? What carb are you running on it? Also what distubitor? I would check the timing and see if you have any exhaust leaks. sounds like timing to me. if you need a QUICK fix, pop off the dizzy cap. look for the little notch on the edge. rotate the motor to TDC. the rotor should be close to that notch, yours most likely will not be, loosen the 10mm nut on the clamp at the base of the dizzy, spin the body of the dizzy the little bit so the rotor points exactly at that notch. itll run and be safe there, until you time it with a gun. it died at riverwind, i'll give that a go afterwork hopefully it'll work. if not anyone know someone that will tune it up for a reasonable price? go buy the idiots guide, great book. The book and a timing light is a good investment for sure, that or you need to look into going with an EDIS setup. I'll have to dig it up but I've got a chart that shows timing by rpm for each dizzy for the vw. If you havn't timed it yet I will do it for a beer. i got locking hood now and a new carpool spot but DAMN!!! Good deal....hope that will deter who ever is jacking with your stuff. it's got a completely rebuilt engine in it with only 1500 miles on it. so it shouldn't of had all these problems, i'm just glad i got it towed before they took it..